When Rebecca Atkinson walked up to a wooden bar in Wales two years ago, she was surprised by one of the beers on tap — the Arbor Oyster Stout. The pump clip said it was “brewed with oysters,” and the bartender told her it had a “really roasty” flavor. Atkinson, a Nova Scotian and seafood fan, was intrigued. It seemed like the quintessential small-town entrepreneurial tale: Local woman brings unique British beer to remote Canadian island, finds riches and provides everyone else with a boozy good time. Unfortunately, her story hasn’t exactly played out that way. 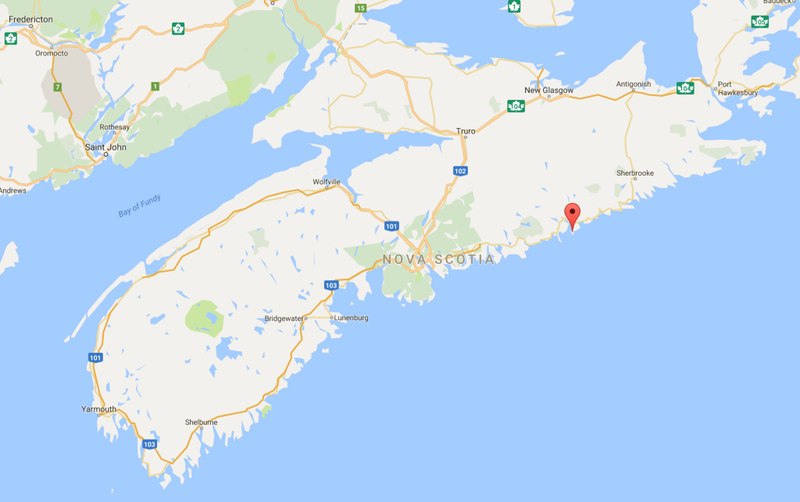 Sober Island is so small and remote that many Nova Scotians haven’t even heard of it. On Google Maps you have to zoom in four times before the coast appears. Legend has it the area got its name from the early-20th-century rum runners who once docked their boats on its shore and got wasted. As one captain was departing, he supposedly said the only thing sober in the area was the island. It’s a good story. But according to 63-year-old Randy Levy, who’s spent his whole life on the island and has researched its history, it’s probably apocryphal—the island had its name long before Prohibition. Levy’s father always told him British soldiers gave the island its name in the 1700s when they arrived with no liquor, though he hasn’t found any historical support for this anecdote. While the island has a rugged beauty and brisk saltwater air, it doesn’t have many young people or a thriving economy. Most of the 50 or so year-round residents are over 50; there are only six locals under 15 years of age. Most of the Sober Islanders who still work fish for lobster, the island’s only real industry. The nearest school, grocery store, post office and restaurants are across the bridge in Atkinson’s hometown of Sheet Harbour. The nearest liquor store and bars are also across the bridge, and locals party in the exact way you might expect — they drink cheap booze at each other’s houses or around bonfires, gatherings that usually end with someone playing the guitar, harmonica or spoons. In other words, Sober Island is the kind of place where every kid loves growing up and every teenager can’t wait to leave. It’s the kind of place that could probably benefit from a brewery. When Atkinson returned to Nova Scotia from Wales in April 2015, she immediately got to work on a business plan. Despite her cherubic face and soft voice, she’s extremely driven, the kind of person who clashed with her first brewmaster because he didn’t put enough “energy” into his work. She applied for a microbrewery license and funding from the government and nonprofit organizations alike. She had a potential site for the brewery in mind, and a handful of locals were invested in making the plan a reality. She was so excited about the business that she didn’t immediately stop to figure out her finances. “When I first started, I was like, ‘I’m going to start a brewery and throw millions into this [business] on Sober Island — [even though] I have no money,’” she says. “[I had] this sort of can-do attitude.” Her vision involves a building that would use geothermal heating and a big patio with an Irish moss-covered roof that would overlook the entire island. But when Atkinson crunched the numbers six months later, she realized her plan would cost $2 million — far short of the CAD $70,000 she’d raised. It was also going to take a lot longer — between three to five years — than she wanted to wait. “If I didn’t launch the company and start brewing the beer, I don’t want to say I would’ve lost interest, but I was so eager,” she says. “I had to do something right away.” So Atkinson decided to build an addition onto her mom’s restaurant in Sheet Harbor where she could brew her oyster stout as well as a golden rye ale and an English pale ale while saving up for the eventual move to Sober Island. One of the locals most excited about her plan was her friend Trevor Munroe. He and his wife run an oyster farm on Sober Island, and the 43-year-old thought the brewery would be great for the community. Not to mention, it was to be a mutually beneficial relationship: Munroe wanted to help Atkinson find land; she wanted to use his oysters in her beer. Better yet, they planned to team up to attract tourists to the island with tours that would end with cold beer and fresh oysters. Munroe was most upset, however, by how aggressively he thought Atkinson was promoting the Sober Island name. She plastered hoodies, baseball caps, pint glasses and bars of soap with her logo — “Sober Island” in a huge font and “Brewing Co.” in tiny letters. She also made T-shirts that read, “Drink Sober.” Since the merchandise looks like tourist swag for the area, many people assume the beer is sold on Sober Island. This summer, Munroe says, more than 50 people showed up on his property looking for a brewery that doesn’t exist. His anger stems from a mix of business principles and pride. The only reason some people in Nova Scotia’s capital city, Halifax, know about Sober Island is Munroe’s oyster business. “We kind of put Sober Island on the map,” he says. Munroe, whose family has lived on the island for three generations, is a huge promoter of the area. He invites staff from the restaurants that buy his oysters to visit his farm and tells stories about the island at events. He’s a down-to-earth dude with a country twang who spends most of his time in rubber boots, hauling mesh bags full of oysters out of the ocean with his wiry frame and grooming his 11-year-old son and 10-year-old daughter to take over the family business. 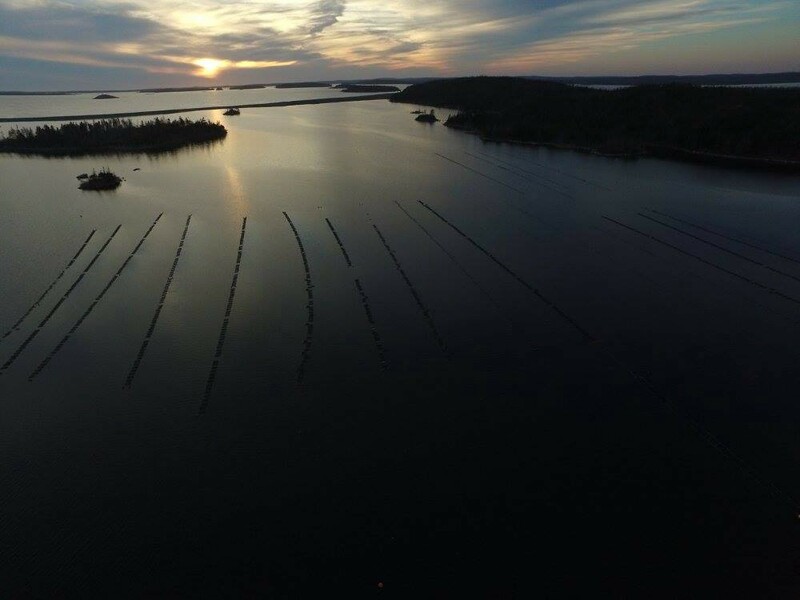 By June, after a few tense exchanges with Munroe, Atkinson decided to buy oysters from another farm. She also started to call her beer an “oyster stout” rather than a “Sober Island Oyster Stout” to avoid further conflict. Some businesses, however, continued to advertise the brew by its original name. This pissed off Munroe. “‘What’s the story behind their name?’” he asks. “‘Oh it’s an island 20 minutes away, that’s our story. 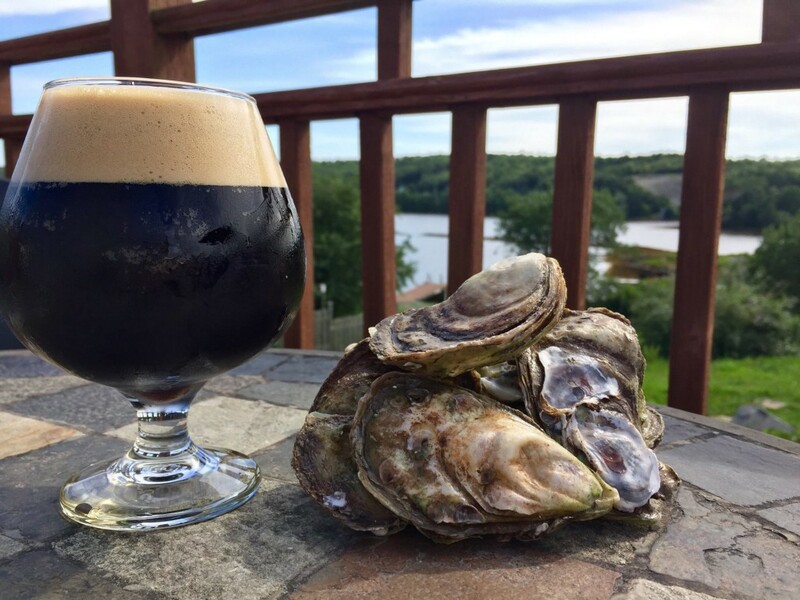 And we don’t use the oysters on Sober Island.’” Earlier this month he told two restaurants that carry his and Atkinson’s products that he wasn’t comfortable having his oysters promoted alongside her oyster stout. Their conflict has become so intense — and the Sober Island name so valuable — that both companies have applied for trademarks to protect their brands. That said, it’s hard to find a resident who’s overly passionate about the issue. Most Sober Islanders would rather drink Bud Light at home than sip craft beer at a modern brewery. That means the bulk of Atkinson’s customers would be tourists and other out-of-towners—which would come with its own drawbacks. “I don’t like it, to be honest with you,” says Gary Levy, who lives across the road from the proposed brewery site. “It’s a quiet place here, and I take pride sitting and watching the wildlife.” He says the brewery is “surely going to interrupt” his view of deer, coyotes, porcupines, rabbits and pheasants. Atkinson, of course, is far from a carpetbagger. Her hometown is connected to Sober Island by a bridge, she knows many of the locals and she’s adamant that she’s going to eventually build a brewery on Sober Island, which is why she has no qualms about using its name in the meantime. Why Do We Celebrate Beer Dads but Shame Wine Moms?